Lange granted the younger artist an enduring gift: an introduction to a man who would become her lifelong physician and trusted friend, respected thoracic surgeon Dr. Leo Eloesser. When Frida Kahlo packed for her first trip to the United States, in 1930, she put lots of long skirts in her suitcase. Floor-length skirts had already become the painter’s bohemian uniform by age 23, as she prepared to go to San Francisco with her new husband, muralist Diego Rivera. The colorful garments illustrated her proud Mexican identity while serving a very practical function, too. As a child, Kahlo contracted polio that made her right leg shorter and skinnier than her left; the skirts hid the deformity, with flair. But even the most brilliantly embroidered floral skirts didn’t fool someone who shared a polio-effected childhood: the discerning documentary photographer, Dorothea Lange. Lange hid her own wizened right leg with wide leg trousers, not skirts, but recognized a shared gait when she first met Kahlo in November 1930. The chance encounter between Lange and Kahlo took place when the Mexican twosome came to San Francisco so that Rivera could compete for mural commissions. One of Rivera’s competitors for the San Francisco Stock Exchange mural happened to be prominent Californian painter Maynard Dixon — Lange’s husband — but this didn’t prevent the two couples from socializing on a few occasions. Rivera was a star, and the whole city seemingly wanted to meet him. Rivera also gave Lange a few of his drawings of monumental laboring figures, which may have influenced her later Depression-era photographs, such as “Migrant Mother” (1936) — the image for which she is best known. “That Rivera combined artistic genius with passion for the oppressed and exploited was not lost on her,” writes Linda Gordon in her 2009 biography of the artist, Dorothea Lange: A Life Beyond Limits. But it was when Rivera began a very public affair with his model for the San Francisco Stock Exchange mural that the bond between Lange and Kahlo strengthened beyond their sisterhood of skinny right legs. The photographer’s husband also had a penchant for infidelity, and she, too, was in a marriage of two artists trying to advance their careers. “At this painful moment, Dorothea made a quick and intense connection with Frida: here was a disabled woman of great talent, charm, and political commitment, with a philandering artist husband. Like Dorothea, but twelve years younger,” Gordon writes. And so, in addition to giving Kahlo use of her studio as a means of creative escape, Lange granted the younger artist an enduring gift: an introduction to a man who would become her lifelong physician and trusted friend, respected thoracic surgeon Dr. Leo Eloesser. Eloesser was one of Lange’s clients, in addition to being culturally savvy and Spanish-speaking. Kahlo originally saw him because of the chronic pain in her right foot, an ailment for which he suggested rest and a healthy lifestyle (with far more moderate alcohol consumption). 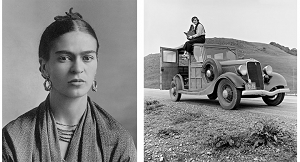 As Kahlo’s relationship with Eloesser developed and she shared her history — such as the serious bus accident she had survived at age 18 — he came to know her medical situation more fully. In gratitude, Kahlo gifted Eloesser a portrait during that first trip to San Francisco. One of her earliest works, she painted a full-length likeness of the doctor at his home at 2152 Leavenworth Street, standing next to a model ship called “Los Tres Amigos” (a reference to the friendship between Eloesser, Kahlo, and Rivera). Their correspondence continued, with Kahlo addressing letters to her querido doctorcito (‘dear little doctor’) that included updates on procedures carried out by her Mexican doctors and occasional brags that she had given up drinking (“cocktailitos”), as per his recommendation. She wrote about non-medical maladies as well, and Eloesser was her confidant. “You have no idea what I suffer,” she once wrote to him. Lange’s referral proved invaluable to Kahlo, and ultimately also fruitful for the San Francisco General Hospital (where Eloesser worked for 36 years). Eloesser owned paintings by both Kahlo and Rivera, which have been displayed in the hospital lobby for 50 years. Eloesser gifted these works to a colleague and close friend, who in turn gave them to the hospital in 1968 with the stipulation that they be publicly viewable. For years, they hung high and barely visible in the lobby; as of a recent renovation completed in 2017, the works now hang prominently at eye level to the right of the guard station. 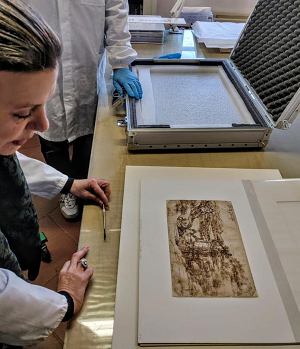 The first-ever scientific study of the oldest known drawing by Leonardo da Vinci has found that he added details to an earlier sketch of a countryside landscape, said the Uffizi Galleries, whose collections include the fragile work. The Galleries said the 1473 "Landscape Drawing for Santa Maria della Neve" was taken on Thursday to a Florence restoration laboratory for study, which began right away with microscopic examination. Aided by sophisticated, non-invasive instruments, such as infrared light, the experts on Thursday scrutinized the front of the drawing. Later they will study the back, where there is a sketch of a human figure, the prestigious Florence art museum said in a statement. "It's possible that Leonardo went back to the drawing in a second moment, maybe right after his studies of geology and rocks," she said. The drawing, dated Aug. 5, 1473, in the upper left corner, depicts a bucolic scene, with a castle on a hill in the background and a valley dominating the design's center. Some have hypothesized that the drawing depicted an actual place in Leonardo's native Tuscany, or as Uffizi director Eike Schmidt said, "was a kind of 'photograph' of this or that valley, of these or those mountains." But the discovery that Leonardo worked on the drawing in two distinct phases "tilts the scale toward interpretations that underline the imaginative aspect and the character of intellectual speculation by the artist," Schmidt said in a statement. The Uffizi only occasionally displays the work, Leonardo's earliest known drawing, because it is so fragile. But on April 15 it will go on display for five weeks in Vinci, the artist's hometown, as Italy marks the 500th anniversary of Leonardo's death. The landscape, done when he was 21, is Leonardo's earliest known dated drawing. Until recently, it had also long been considered his earliest known dated artwork. Since 1988, University of California, San Francisco’s Art for Recovery, an art-making, writing, and music program for adults living with cancer, has helped thousands of patients build confidence in themselves and work toward mental wellness. The series is open to anyone dealing with cancer; participants don’t have to be UCSF patients or even under care for a significant health issue. The effort was renamed the Ernest H Rosenbaum, MD Art for Recovery after Dr. Rosenbaum died in 2010. Rosenbaum, a former UCSF oncologist and hematologist, helped build the comprehensive cancer care program at UCSF’s Mount Zion Hospital in the early-1970s. 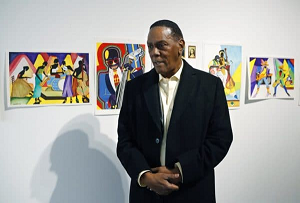 He conceived the idea of bringing expressive arts to cancer and HIV/AIDS patients. Roughly 200 patients participate in Art for Recovery’s once-a-week, three-hour Open Art Studios workshop. In- and outpatients can partake of Open Art Studio at the Bakar Cancer Hospital, which started sessions in 2015. Outpatients can engage in Open Art Studio at Mount Zion. According to Cynthia Perlis, who directs the program, the Mount Zion sessions are so full they’re standing room only. Inpatients can also participate in Art for Recovery from their hospital bed. Non-art activities include writing workshops and visits by musicians at Mount Zion and Mission Bay. Volunteer guitarists, harpists and madrigal singers also perform in hospital lobbies. 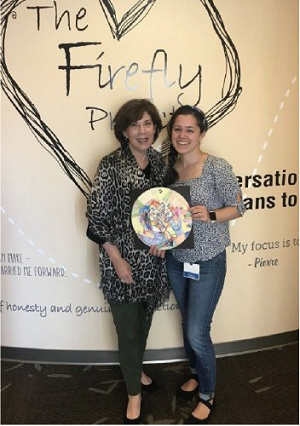 “Our Art for Recovery music coordinator holds a Sing-A-Long a few times a month in the Mount Zion lobby; patients, staff, and caregivers…sing along to a musician playing recognizable songs,” said Perlis. According to Perlis, Art for Recovery allows adults coping with cancer to become part of a community where they find others living with similar issues. “The program inspires our patients and helps them express how they are feeling through the expressive arts,” said Perlis. Perlis has guided the program since its inception. Today, its staff includes an artist-in-residence, music coordinator, two harpists, a creative writer, and a writing workshop leader, as well as UCSF medical student volunteers. Participants range in age from 18 to 80. “We have a tremendous amount of art materials, including acrylic paints, pastels, colored pencils and markers. We are able to show our participants how to work with the art materials and offer prompts to help them express their feelings about illness. We also display participant artwork in two large glass cases in the lobby of the Bakar Cancer Hospital…throughout the clinics and inpatient units. The new UCSF Precision Cancer Medicine Building is set to open in the spring of 2019 (with) patient canvases in all 122 exam rooms and, in addition, work purchased from artists in the Bay Area community,” said Perlis. According to Perlis, even when they’re not feeling well, patients get out of bed to attend Open Art Studio. “The Art for Recovery workshops bring patients together where they may make a new friend who is also living with a life-threatening illness. These patients are humanity at its very best,” she said. Amy Van Cleve, Art for Recovery artist in residence, runs Open Art Studio sessions at Mission Bay and Mount Zion. “I first came to UCSF in 2004 with a dear friend battling cancer. I found the Art for Recovery program and volunteered while my friend was receiving treatment,” said Van Cleve. Van Cleve, who worked for six years as a muralist before joining UCSF, said being in a hospital can be frightening and isolating. “Art creates an opportunity to expressing what words cannot in the darkest of times. (I) ask people how they are doing. “What color do you like? What symbols have personal meaning to you? What have you always wanted to try artistically but, been afraid?” Then I listen. From what people tell me I am able to create simple, non-threatening projects that can be completed in a short amount of time, no skill required. I always remind people there is no grade for their work, try to keep it fun, and mostly about expressing wherever they are at,” said Van Cleve. Mary Isham, who is living with cancer, said before going to Art in Recovery she didn’t consider herself an artist. “I only did art with my kids. When I came to treatment, I saw the sign for Art for Recovery workshops and followed it. There I met Cindy (Cynthia Perlis). She gave me a little book and colored pencils and told me, “I want you to draw every day.” I did for about four years, and it was transformative. I did classes for seven years with Art for Recovery. It was a very tight and supportive group. Eventually I started identifying as an artist. Now I sell my artwork. I have been in art shows, including the Box Show in Gallery Route One in Point Reyes for the last 12 years,” said Isham. Isham’s primary art form is painting. “I use very bright colors. I use them all at once, like in a rainbow. I started out painting with my hands. This helped me feel like I was pushing out the cancer. I started with reds, yellows, and oranges, like there was a fire inside. I wanted to get out my grief, my fear, my sadness. Now I paint joy and light. Art shows me I have a life beyond cancer,” said Isham. Before being diagnosed with cancer, Isham had practiced adolescent medicine for 25 years with the San Francisco Department of Public Health. “I helped start a mental health and reproductive and family services clinic at Mission High School in the late-1980s. We provided everything from detox services to stress reduction classes for teachers. But when I was diagnosed 20 years ago, people wouldn’t even say the word “cancer.” Art for Recovery was my support group,” said Isham. Alex Withers, a UCSF medical student between her third and fourth year, has volunteered with Art for Recovery, conducting bedside sessions, for the past three and a half years. “I bring art supplies and work with individual patients who cannot leave their room or might be uncomfortable doing so. Sometimes we utilize all-new art supplies because a patient cannot use what other people have touched,” said Withers. Withers, a Mission District resident, said oil painting is her medium of choice. Yet she sometimes cannot show patients how to engage in this art form because they’re sensitive to smells. At times it’s not easy to get patients to start work. “People feel very vulnerable. They have had intense experiences. I don’t rush people into it. I develop a relationship with patients first,” said Withers. Richard Phillips said he didn’t mope much during the 45 years he wrongfully spent in prison. He painted watercolors in his cell: warm landscapes, portraits of famous people like Mother Teresa, vases of flowers, a bassist playing jazz. Phillips could be eligible for more than $2 million under a Michigan law that compensates the wrongly convicted, but the state so far is resisting and the matter is unsettled. So he’s displaying roughly 50 of his more than 400 watercolors at a Detroit-area gallery and is willing to sell them. On the walls of Kangra Arts Promotion Society's gallery in McLeodganj, an airy space with windows offering stunning views of the valley below, are exquisite paintings in the 300-year-old Kangra painting tradition. In McLeodganj, along the road from the main square to the Dalai Lama temple are souvenir shops and trinket stalls. There may once have been a time when these businesses sold tchotchkes that were unique to the region, but, over the years, most of their wares have acquired a pan-national character. The macrame wall hangings, papier-mâché boxes, chunky jewellery and cheap T-shirts you find on the streets of McLeodganj, are as much at home here as they are on the pavements along Colaba Causeway or the Wednesday flea market near Anjuna beach. In the chaos of modern commerce, objects harking back to centuries-old tradition can be hard to sell, and yet, this is precisely the task that the Kangra Arts Promotion Society (KAPS), an NGO, has been quietly working at for the last decade. On the walls of its gallery in McLeodganj, an airy space with windows offering stunning views of the valley below, are exquisite paintings in the 300-year-old Kangra painting tradition. Monu Kumar, 37, who works at the gallery, is one of half-a-dozen artists who have been trained by KAPS in the Kangra painting tradition and are currently working as full-time painters. Set up in 2008 by IAS officer BK Agarwal, who was then the divisional commissioner of Kangra and is currently chief secretary to the Himachal Pradesh government, the society was meant to boost what was then a floundering art form. “An art lover himself, he got others, including some well-to-do locals and NRIs, to establish the society with the idea of training artists in this art form,” says Varun Singh, secretary of KAPS. The society’s first move was to run a competition to identify local artists who could be trained in the tradition. The selected artists underwent a year-long course, besides being paid a monthly stipend and provided access to master artists and materials. Kangra painting, like most traditional art forms, demands rigour and discipline. Its characteristic delicate lines on sheets of handmade wasli paper can only be drawn using squirrel hair brushes. The paper and the brush, which were once made by the artists themselves, now have to be brought from Rajasthan. The paper is pressed and primed for days and the paints are ground by hand from raw minerals — also acquired from Rajasthan — in heavy stone pestles. These are processes that go back centuries, and predate the late 17th to early 18th century exodus of artists from the Mughal court and their arrival in the tiny Himalayan states of Guler, Chamba, Nurpur, Kangra, Garhwal and Basohli, where they flourished and created the Pahari school of painting. Kumar says, the techniques and materials remain unchanged. “Most of the time, the subject matters are age-old ones which continue to be favourites among art collectors and patrons,” says Kumar. So just like the painters in the court of Maharaja Sansar Chand Katoch (1776-1824), a Krishna bhakt and one of the patrons of Kangra painting, the artists working with KAPS continue to depict the life and amorous adventures of the blue-hued God, taking episodes from Bhagavata Purana and Jaidev’s Gita Govinda. The artists are also, however, being encouraged to explore other themes. Kumar shows images of a painting depicting the celebration of Rali Mela, which was commissioned by the state government and presented as a gift to President Ram Nath Kovind. 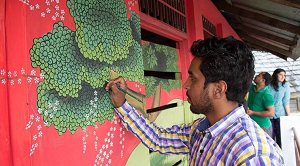 “I was inclined towards painting since I was a child. After completing school, I got interested in thangka (Tibetan Buddhist scroll painting) for a while. When I heard about the competition by KAPS, I decided to apply,” says Kumar, who’s been with the society for 10 years. Besides being a full-time artist, he looks after the gallery. Most artists are encouraged to work independently even as they continue to make paintings that are sold by KAPS. “Earlier, when we were giving the artists a monthly stipend, we noticed that the quality was not improving. So we decided to grade the paintings based on quality, and the pricing began to be based on the grade. The grading is done by master artist Mukesh Kumar of the Chamunda Devi Temple,” says Singh. The society still supplies all materials. Every month, when artists submit their works for sale, they receive 40 per cent of the price before sale, with the remaining amount coming through once the painting is sold. 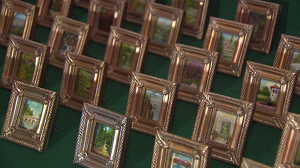 Miniature paintings got one San Antonio woman enormous recognition with the Guinness Book of World Records. Martha Ochoa began painting tiny art after having a life’s experience of painting many pieces. “It’s not only painting a wall or a canvas,” said Ochoa. “No, there's art in absolutely everything and we all do it." Ochoa was born and raised in Peru, and has been painting since she was a young child. She came to the United States 30 years ago, and though English has been an obstacle for her, it hasn’t stopped her love to serve others through her paintings. Ochoa said she was inspired by a painter who used grains of rice as his canvas for his paintings. “He showed the collection under a large magnifying glass, which caught my attention, and also motivated me to show my small paintings, that each time were growing in number and you did not need a magnifying glass to appreciate the shapes and colors,” Ochoa said. 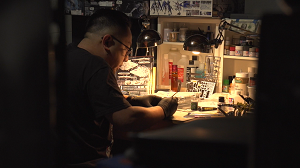 Over the course of years, Ochoa successfully painting 5,000 miniature paintings. There were certain factors Ochoa needed to officially earn the title of a Guinness Book of World Record holder such as a venue to exhibit her art, and each piece needed to be named and framed. She ended up winning the Guinness World Record for the largest collection of miniature paintings in August of 2018. In the decades of her artistry, Ochoa has also won several other awards including an eternal rose from the Hispanic-American Cultural Society and recognition from the Department of Homeland Security. No matter the amount of achievements she has had, Martha said her biggest achievement is inspiring others to be their own artists. Pennsylvania artist Beth Bathe is featured in the March 2018 issue of PleinAir. Here’s a preview of how she uses water-mixable oils, which have some of the characteristics of oils, acrylics, and watercolors. You may want to use these paints and avoid some chemicals. 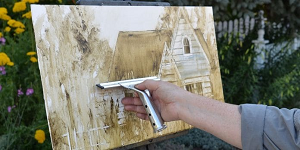 An increasing number of plein air artists are taking advantage of water-mixable oils that can be applied as thick as oils, as thin as watercolors, or as varied in levels of opacity of acrylics. Those artists have to learn to handle the unique qualities of the water-mixable paints, and they’ll have to buy a completely new set of colors and mediums, but the outdoor painters appreciate that they no longer have to work with turpentine or mineral spirits and they can manipulate the paint with a wide variety of tools. Even if artists use the solvent-free paints only when traveling or making small studies, they can take full advantage of the medium. Beth Bathe (www.facebook.com/BathePainting) had been painting with traditional oil colors and creating high-chroma figurative and landscape paintings. She then became aware of the work of Vermont artist Charlie Hunter, who champions Cobra brand water-mixable oils, and she took a workshop with Hunter to learn more about the medium and his graphic style of painting. Since switching to water-mixable oils, Bathe has established a procedure of working on Gessobords, birch plywood, or hardboard panels sealed with multiple layers of acrylic gesso that she tints with a small amount of transparent yellow ochre acrylic paint. Those panels range in size from 8 x 16 up to 18 x 24 inches. The exception is that she painted on a 24 x 36-inch panel during the 2017 Plein Air Easton event. Her palette includes Cobra water-mixable raw umber, ultramarine blue, transparent red oxide, titanium white, titanium buff, with secondary colors yellow ochre, cadmium yellow, cadmium red light, permanent green light, violet, grayish blue, and sometimes cadmium orange. Before she begins painting, Bathe coats the surface of her board with a small amount of oil (water-mixable safflower oil) to make it easier to take paint off, even to the point of restoring the white of the substrate. Another technique that helps her lift paint off the panels is to lay a light mist of water over the applied paint using a spray bottle in the same way a watercolorist would to direct paint to flow down a sheet of paper. And if she decides to blot the dripping paint with paper towel, she can add textures that suggest leaves or other natural forms. The longest government shutdown in U.S. history has forced arts museums in Washington, D.C.—and beyond—to close for extended periods of time. The Smithsonian museums, including the Hirshhorn Museum and Sculpture Garden and the National Portrait Gallery, and the National Gallery of Art are among those that have been forced to shutter this month, with some exhibitions at these institutions going off view without any visitors during their final days. But museum employees have been forced to bear the brunt of the shutdown as well. To better understand the effects of the shutdown on workers at these institutions, ARTnews spoke to Smithsonian employees about how they are making ends meet without a steady paycheck. 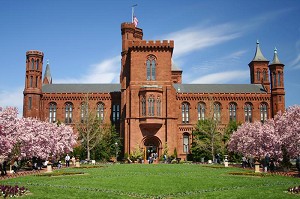 Linda Thompson, the Smithsonian Institution’s chief spokesperson, is one of around 800 employees exempt from the furlough. (Many of those employees, she explained, are zoo workers who need to care for animals throughout the shutdown.) 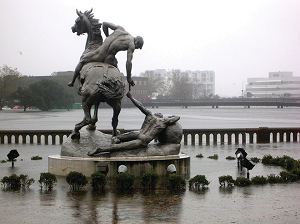 “We’re furloughed, but we’re expected to come to work,” she told ARTnews. When everyone receives backpay, Thompson said, she will get the wages she is owed for the time spent working during the shutdown. But some employees have been out of work entirely, and a quarterly tax system has left some contracted Smithsonian Institution workers scrambling to find ways to make ends meet. Nearly a third of the workers at the museum are contractors, meaning that they are not on the institution’s payroll. One such contractor for the institution, who asked not to be named, citing fear of retaliation, told ARTnews that quarterly taxes needed to be paid on January 15, several weeks into the shutdown. “Luckily, I had a solid chunk of money saved up so I could pay my taxes,” the contractor said. But other expenses had caused alarm as well: “I’ve already had to pay my rent since the government closed, and if we go on another week, I’ll have to pay it again. . . . For me, the insecurity isn’t if the money will come through, it’s when it will come through.” Other contractors have been forced to rely on friends and family for the needed funds, she said. Some employees have confronted politicians about the matter. The Post released a video in which Faye Smith, a security guard at the Hirshhorn, stormed into Senate Majority Leader Mitch McConnell’s office, telling him, “If I don’t have my rent by next month I’ll be evicted automatically. I can’t go to my family, Mr. McConnell. My family is with the federal government. Five people in my family are furloughed.” Smith said she had to bring her jewelry to pawn shops to pay bills. A Leonardo thumbprint has been discovered on one of his works in Britain’s Royal Collection. The mark, from his left thumb (the artist was left-handed), is on a medical drawing. Alan Donnithorne, the collection’s former paper conservator, found that the reddish-brown ink of the print is the same as that on the drawing, so Leonardo presumably “picked up the sheet with inky fingers”. There is also a smudged mark of his left index finger on the reverse. 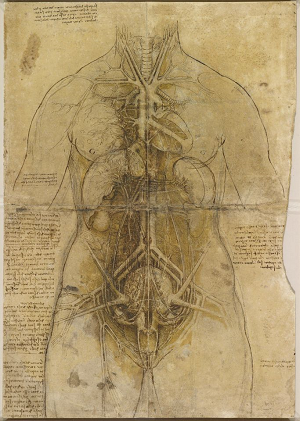 The sheet with the thumbprint is entitled The Cardiovascular System and Principal Organs of a Woman (around 1509-10). Although fingerprints have been found on other Leonardo drawings, Donnithorne describes the one on the medical sheet as “the most convincing candidate for an authentic Leonardo fingerprint” among the Queen’s 550 or so Leonardos. The medical drawing is to be displayed at the National Museum Cardiff (1 February-6 May) and then at the Queen’s Gallery at Buckingham Palace (24 May-13 October). Further details on the discovery will be included in Donnithorne’s new book, Leonardo da Vinci: A Closer Look, to be published on Friday (1 February). A man who grabbed a valuable late 19th- early 20th-century scene of Crimea by the artist Arkhip Kuindzhi off a wall at the State Tretyakov Gallery in Moscow on Sunday evening in full view of visitors and personnel, has been apprehended and the painting recovered. But the incident has raised serious questions about museum security in Russia and has inspired a slew of ironic memes. The painting titled Ai-Petri. 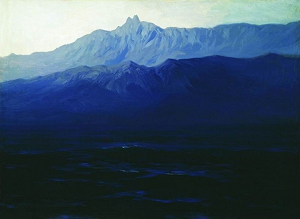 Crimea (1898-1908), has been on loan to the Tretyakov from St. Petersburg’s State Russian Museum for a retrospective (until 17 February) of works by one of Russia’s most famous landscape artists. It has resulted in long lines and extended hours since it opened in October. The exhibition is running at the Engineering Building annex adjacent to the gallery’s main building. Security camera footage released on Monday shows a totally brazen act. A man who looks like any other visitor walks straight up to the painting, picks it up off the wall, and walks through the exhibition hall with it swinging from his right hand. Only the few people who had been standing immediately next to him look a bit stunned. No one else in the crowd appears to notice, some thinking he was museum staff it was later reported. Irina Volk, a spokeswoman for Russia’s interior ministry said on Monday that a 31-year old man, who had been detained for drugs possession in December 2018 had been caught and that the painting was found at a construction site near Moscow. According to Tass, he could face up to 15 years in prison. On Monday, Olga Golodets, a deputy prime minister who oversees cultural affairs, ordered the ministry of culture to investigate all federally-run museums for security compliance and hold extra training for staff. Russian museums have been complaining of a security shortage since budget cutbacks in 2015. Mikhail Piotrovsky, the director of the State Hermitage Museum, lobbied for reinforcements from Rosgvardia, a national guard service created by President Vladimir Putin. A Rosgvardia official said on Sunday that the agency’s staff only man the entrance of the Tretyakov’s Engineering Building. In May 2018, a visitor to the museum’s main building vandalised a painting by Ilya Repin, Ivan the Terrible and His Son Ivan (1885) with a metal security pole. Police are currently also investigating a report of a 16th-century icon missing from the storage of the State Historical Museum. Zelfira Tregulova, the general director of the Tretyakov Gallery, said at a news conference on Monday that the Kuindzhi painting, which does not appear to have been damaged, would not return to the exhibition. A culture ministry official said it had been insured for 12m rubles, but denied media reports that it was worth $1m at auction, saying that a museum piece cannot have an estimated auction price. A Kuindzhi painting sold for over $3m at Sotheby’s in 2008. In an age before computers made layout almost effortless, Letraset revolutionised typesetting – letting designers create headlines in mere minutes. In this extract from Lawrence King's updated edition of 100 Ideas That Changed Graphic Design by Steven Heller and Véronique Vienne, the authors chart the decades when a British company's rub-on lettering (and its knock-offs) were ubiquitous in every design and advertising agency in the UK, Europe, the US and beyond. Presented at first as an alternative to hand lettering, dry transfer letterforms stood, for a brief moment, at the intersection of crafts and technology. Easy to use, the method nonetheless required some dexterity. Words had to be set carefully, one letter at a time, and rubbed down in perfect alignment. When done correctly, it could replace traditional typesetting. Anyone could feel the rush of composing elegant headlines within minutes. For a graphic designer in the 1970s, holding a brand-new polyester sheet of 24 point Helvetica Medium Condensed, its neat rows of caps and lower cases ready to be applied on a clean surface, was pure ecstasy. Letraset, a UK company specialising in art supplies, was the main provider of these handy alphabets, which were ubiquitous in design studios worldwide because they could be used to create high-quality camera-ready artwork. Even though setting headlines with these decals required a sure hand and a keen understanding of typographical rules (once the letters were down you could not move them), the result could be stunning: depending on how much pressure you had applied, the words or sentences could look letterpressed or silkscreened. The idea of transferring motifs from one surface to another used to be called ‘decalcomania’. It was popular in the nineteenth century for pressing decorative patterns on to everything from plates to guitars. The Surrealists used the same word to describe a way of applying uneven pressure on a thin layer of gouache to give it a mysterious looking texture. In the 1950s, ready-to transfer cartoon characters were popular with children. But kids had trouble mastering the delicate process, involving sliding the wet images off their transparent backing onto a page, resulting in crumpled figures so bizarre they inspired the term ‘cockamamie’, a deformation of ‘decalcomania’. Decals today are peel-off designs, their sticky backing formulated to bond permanently with anything from automotive parts, model aeroplanes and surfboards to mobile phones, computer cases, furniture and walls. 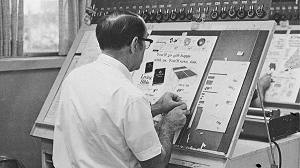 Letraset is no longer known for its innovative transfer letters – the company went back to its craft roots, selling such products as self-sticking adhesive film and metallic ink markers. For 35 days during the partial government shutdown, Michael Mateos took on the role of stay-at-home dad. Mateos, who is a contractor for the US State Department, won't receive any back pay for those 35 days. With the uncertainty of what lies ahead and the possibility of another shutdown, the father is finding new ways to bring in money. His basement has now become his new office. There, he's replicating vehicles from the world’s most famous film series: Star Wars. "Star Wars, it's been in my blood ever since the beginning,” he says. Mateos buys the licensed figures and paints them. "Then, I add the thinner and it becomes a subtractive process,” Mateos explains of his work. So far, he's made a couple thousand dollars by selling them online. But lately, he says it’s not just about the money. “When I do something with my hands and I’m creating something, I don't focus and dwell on all the political stuff that's happening on the Hill,” Mateos says. Mateos looks at this new side hustle as a plan for the future. A new online database of watercolours painted before 1900 will help scientists and environmentalists combat climate change, say the project representatives. Watercolour World, which went live earlier this week, currently comprises around 80,000 images drawn from private and public collections worldwide; users can search according to place or subject. “The project uses an overlooked artform to help reveal the world as it looked before photography,” say the organisers. The project aims to change preconceptions about the medium which has fallen out of fashion, unearthing examples hidden away in “darkened museum vaults”, says Fred Hohler, the project founder. The initiative is funded entirely by the London-based charity, the Marandi Foundation, which is run by the UK philanthropists Javad and Narmina Marandi. “The current running budget is around £300,000 to £400,000,” Hohler says. Professor Robin McInnes of the Coastal and Geotechnical Services consultancy has drawn on the database to monitor the evolution of the British coast since the late 18th century. 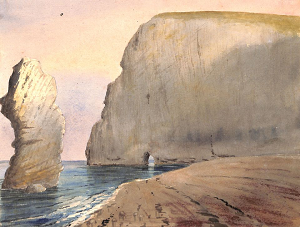 An image from the Dorset County Museum, for instance, outlines the changing rock formations near Bat’s Head in Lulworth. McInnes’s findings are due to be published in May (The State of the British Coast; observable changes through imagery 1770-present day). Some images meanwhile show glacial retreat in the Alps including Glacier de la Côte, Mont Blanc France (around 1800); others depict rare examples of flora and fauna. Between 1750 and 1900, watercolour production snowballed. Eighteenth-century artists such as Thomas Sandby, who specialised in military images working for the Duke of Cumberland, elevated the medium while paintboxes, pioneered by companies such as Reeves & Co of London, meant that artists could work outside. “You could put it in your pocket and leave the studio. People began recording what they saw, as the old agricultural states were transformed during the Industrial Revolution,” says Hohler. In 1900 however, the advent of photography put paid to the watercolour boom. Great Artist Products from NAMTA Members!